Vidatherapy Combatting signs of Stress! There are many ways stress can manifest itself in our daily lives. There is also a darker side to stress that no-one talks about. This article will investigate the symptoms and give you advice on how you can overcome it. Stress has become the paradigm of our modern lives. Society here in the west accepts stress as unfortunate collateral damage to our bodies in the pursuit of bettering our lot in life… After all, isn’t getting your head down and pulling a few extra hours a week absolutely fine if you can manage to get that big project done? I guess missing a few lunches won’t hurt if you meet the all-important deadline, or staying up till the early hours working on that very important presentation is worth it if you land the Big Client! But is it really ok? Is your body suffering and is your mind coping? Stress is often ignored as an inconsequential temporary inconvenience, something you suffer for a short time till you’re able to finish what you set out to do. The aches in the neck and back, pain in the shoulders and wrists, the tiredness and stinging in the eyes are all expected to dissolve away once the pressure’s off. For some people reading this the thought of having no stress is terrifying. With no targets to meet and no pressure to be put under is the worst thing imaginable. These people are the ones who would state that they perform better under pressure and that it’s the stress that motivates them to get the job done and are convinced that’s a good thing. However at the risk of feeding the internet trolls and destroying this page’s comment box, I’m about to explain why they are wrong and why constant long term stress is most defiantly a bad thing. Stress destroys your body from the inside out! The survival of humanity has been dependant on its ability to avoid dangers and get its self out of hazardous situations. Short bursts of adrenaline released in sudden threat situations activate your sympathetic nervous system increasing your muscle tone, improving your visual acuity and allows your lungs to take in more air. Stress is a constant trigger for releasing adrenaline, a repeated activation of the fight or flight response from what your body assumes is a death threat going on between you and the broken printer. Even those who seem to thrive on stress will experience the effects needed to keep your body primed for action. The increased attributes of muscle function and sight can help a person to feel focused and awake, but muscles require masses amounts of energy to function continually above normal. So within a few minutes the body will respond by breaking down fatty tissue and elevating the amount of glucose in your blood, two things you may recognise as major risk factors for heart disease and diabetes. In order for the new-formed energy to make its way into the muscles, the body diverts blood away from the gut. This leads to decreased gut movement and a cycle of diarrhea and constipation. The increased visual acuity mentioned earlier comes with increased inner eye pressure (glaucoma), which, if left for too long can cause blindness. After days of stress another hormone starts to take it’s toll on your body; Cortisol. Released as a partner to adrenaline, cortisol prevents your body from taking the excess sugars in your blood and storing them back in your tissues. A process that is fine for a short time but if left for days will suppress the function of the immune system, your barrier from disease! Meaning you are more susceptible to catching a cold, flu or fungal infection. What can you do to manage your stress. It is vital to reduce your muscular tension! This will in turn lower the energy demand from the muscles. Following this aches and pains can be addressed. Exercise, relaxation, good nights sleep, healthy diet and plenty of water are all ingredients you need to prevent the build up of stress. Movement is vital, gentle exercise classes like Tai Chi, yoga and Pilates help to maintain flexibility and improve abdominal wall function. These classes are invaluable if you have a sedentary job, like sitting at a PC all day. Drinking water also helps nourish the spine. Your spinal discs provide a spring between your vertebrae and take water in over night whilst we sleep, helping to keep your spine strong and healthy. 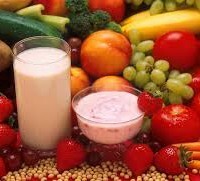 Eating healthy foods provide the amino acids, vitamins and minerals that are necessary for the body to repair itself. There are certain unhealthy foods that can aggravate any pain occurring in the body as they are known to increase inflammation, such as refined sugars, saturated fats, MSG (mono-sodium glutamate), a flavor-enhancing food additive, commonly found in Asian and soy sauce. For a holistic, self-help approach you need to observe all aspects of your body – focusing on your posture, both standing and seated, your movement and exercise patterns, and finally what you eat and drink. 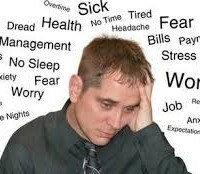 When there is prolonged stress you may need extra support from a professional to kick start your body back into balance. As an Osteopath I manipulate the muscles with various techniques that will trigger a ‘neural reflex loop’ to reduce the demand on the heart and lower the amount of adrenaline that is secreted. Chemicals are also released in the brain, serotonin and dopamine that activate the body’s pleasure response, improving your mood. Osteopathy uses a combination of Neuromuscular, Muscle energy techniques and Myofascial stretches to help regulate muscle tone and relax patients. Tension related conditions such as headaches, muscular tightness and chest pan relating to rib dysfunction can be relieved through the application of high velocity thrust techniques (HVT). Osteopaths can influence the spinal segments that supply the fight or flight response to the heart, by adjusting the segment through HVT in order to allow regulation of the heart rate under stress. I provide treatment and advice on how best to prevent and reduce your stress, from rebalancing the fight or flight effects versus the rest and relax responses, to recommending foods that will help prevent any constipation or diarrhea cycle and show you appropriate stretches that will target areas of increased muscle tension. Supporting you with sound advice, solutions and much more. After a course of several sessions you will feel more balanced and knowledgeable about your physical and mental capabilities in dealing with internal stress.